This is (part of) the rear of the members’ stand at Avondale. 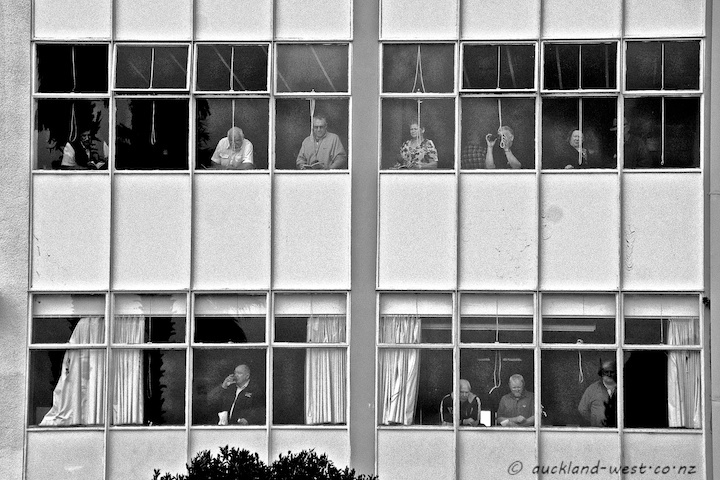 Patrons are enjoying refreshments, discuss form and look down on the action in the birdcage (birdwatching?). And this photographer enjoyed the view in reverse.